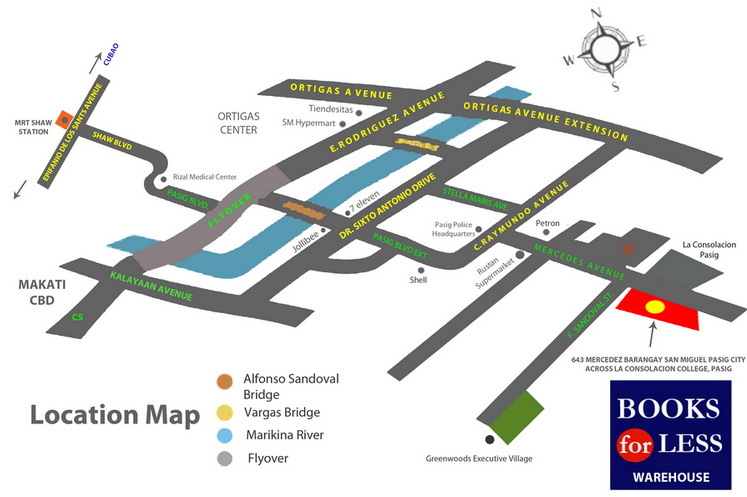 Great Warehouse Sales ~ Philippine Freebies, Promos, Contests and MORE! Holler to all book lovers and homeowners out there! 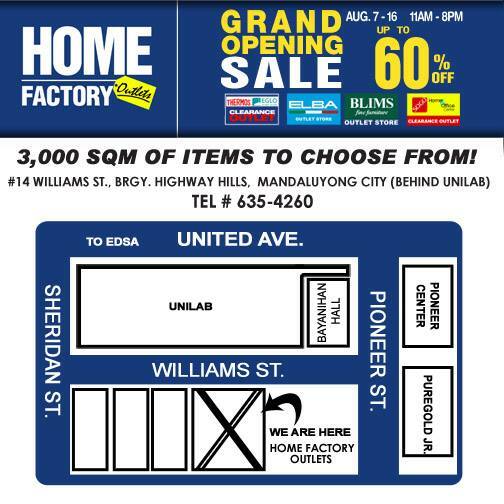 Enjoy huge discounts as you purchase your favorite books, home furniture, appliances and other housewares in these two Great Warehouse Sales. 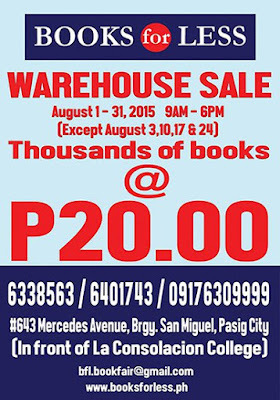 Visit Books for Less warehouse within the promo period and grab all the books you can get for only P20 EACH. 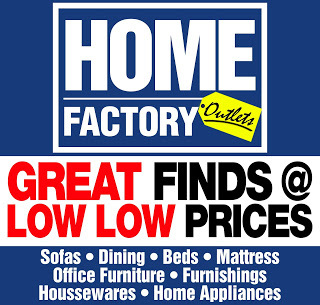 If you are looking for exciting furniture pieces, get them at the opening of Home Factory Outlets. 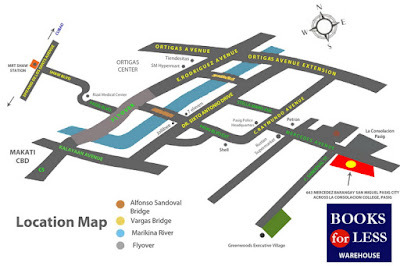 Save up to 60% OFF on over 3,000 sqm of items from BLIMS Fine Furniture Outlet Store, Sogo Home and Office Clearance Outlet, Elba Outlet Store, Collins Clearance Outlet, Thermos & EGLO Clearance Outlet,and Dowell Outlet Store. Not only that. They will also be giving away a FREE P500 Home Factory Outlets GC to the first 100 customers on the opening day so we suggest you line up early.